Aesthetics can often boost confidence and self-esteem. While this traditionally derives from dressing sharply and styling one’s hair or makeup, tattoos can also play into it. There are those who choose tattoos with spiritual symbolism to inspire confidence in themselves, and in God. 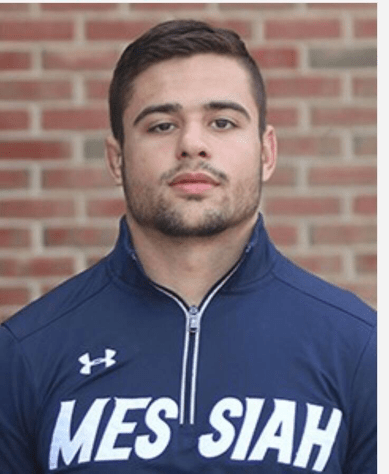 This week, I talked with sophomore Sports Management major David Stevens to get his story on tattoos and confidence. 1) Can you describe your tattoos and what gave you the idea to get them? I have 5 tattoos, the one on my chest says “hard work beats talent when talent doesn’t work hard” and that means a lot to me because I have had to work hard my entire life to get where I am. My second tattoo is on my tricep and it is κενόω which, in Greek, means to be emptied. So to me, that means in my relationship with God I want to be emptied and give everything to God. My leg tattoo is Genesis 32:24-28 and that is when Jacob wrestled an angel. My forearm tattoo is an angel kneeling before a cross. And that to me means even the angels bow before God. 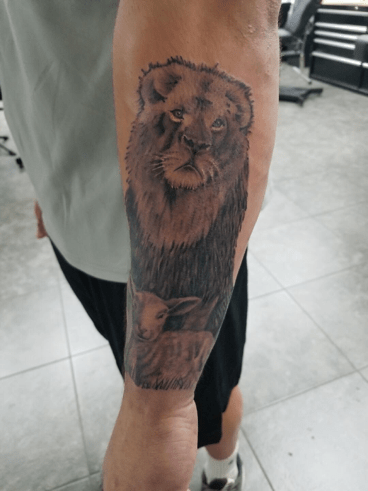 My last tattoo on the other side of my forearm is a lion and a lamb. And the meaning of that is God is a mighty lion but also a humble and gentle lamb. 2) What are your thoughts on tattoos in regards to boosting confidence? How would they affect a person’s self-image? Tattoos are a great way to show confidence, tattoos are things that usually have a lot of meaning behind them and on one’s body for the rest of their life. 3) Do you have plans to get more tattoos, and if so, what are they? 4) Where did you get your tattoos? I got my tattoos from an associate named Ron Carr, who has now opened his own shop, Mermaids Mark, which is where I will be going to get the rest of my tattoos.